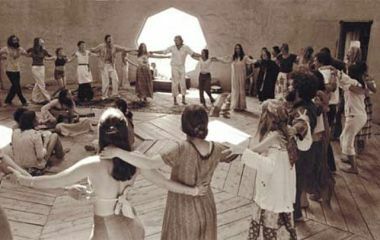 Many of you have attended events in the ballroom that was named after the beloved Santa Fe architect and artist William Lumpkins, who initially was the architect who covered the open air courtyard that became La Plazuela. 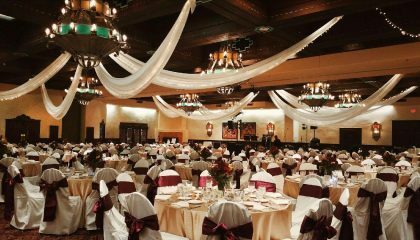 If you’ve admired the ballroom’s hand-wrought chandeliers, terracotta fireplaces, wood ceiling and wainscoting, and the Mimbres pottery designs hand-painted on the walls by the iconic Ernesto Martinez, you’ll be happy to learn that they are all staying. Our main goal is just to update the room, make it brighter, redoing the plaster finish, paint, carpeting, furniture, lighting, sound, and room divider that are now nearly 30 years old. 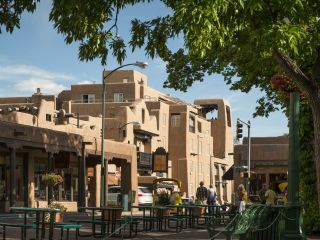 The result will bring the splendid but aging room up to the standards of the rest of the hotel, as a gracious gathering place for the Santa Fe community and out of towners. Work will be starting in December, and the ballroom will reopen in January. 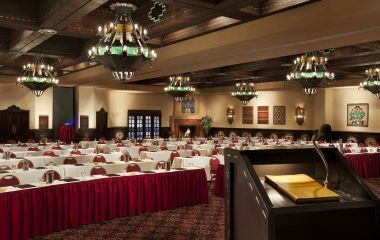 So much of the ballroom is classic La Fonda, we left these minor updates for last. 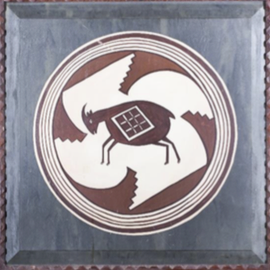 In fact, one fan of the hotel’s history was so taken with Ernesto’s Mimbres paintings in the ballroom that he spent many long hours this past spring professionally photographing and cataloguing all 57 of them for posterity. He gifted us with the results, which include painstaking research into the source for each image. According to that photographer, Henry Johnson, Ernesto did the paintings in the early 1990s using plain oil-based house paint, as part of his tireless mission to add an artistic touch to every corner of the hotel during the 56 years that he worked here. 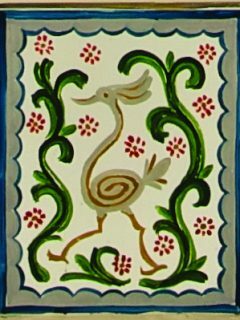 His windowpanes in La Plazuela are the most remarked upon, and reproductions sell briskly in our gift shop. 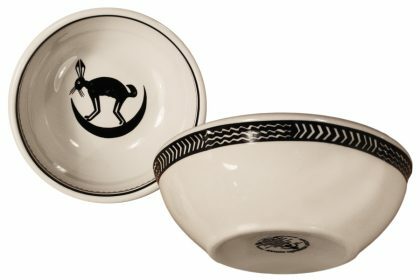 Currently our gift shop, Detours at La Fonda, is selling dinnerware based on the Mimbres designs. As the original windows depict the past and gracefully age with time, we feel that they complete the link to La Fonda in the modern age. Detours at La Fonda - SPECIAL EVENT! Welcome Fred Heads and Mary Jane Colter Fans! October 20th through October 22nd, 2017 is Fred Harvey Weekend in Santa Fe and Detours at La Fonda will be featuring all things Harvey. 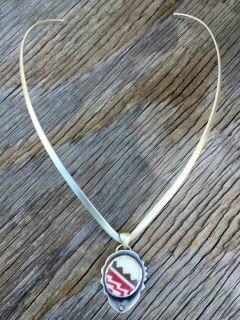 In store, on Friday October 20th from 10am-1pm and from 4-5:30 PM, artist Elise Renault will be on hand with unique, wearable sculpture-like jewelry made from very scarce, broken pieces of Fred Harvey dinnerware that she finds along the railroad tracks. The red and black Mimbreno pattern was introduced in the late 1930’s and used exclusively on the Santa Fe Chief until 1970. 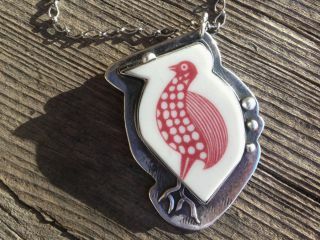 Each piece is hand-built and one-of-a kind and set in sterling silver. 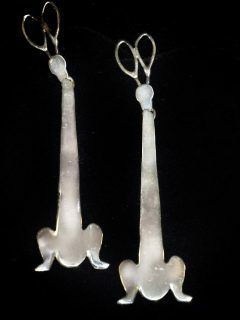 At the same time, Tom Whitson, one of La Fonda's Art & History Docents, will be demonstrating traditional punched tinwork. In addition, we will have signed copies of the recently launched La Fonda Then and Now book and Stephen Fried’s Appetite for America: Fred Harvey and the Business of Civilizing the Wild West - One Meal at a Time. 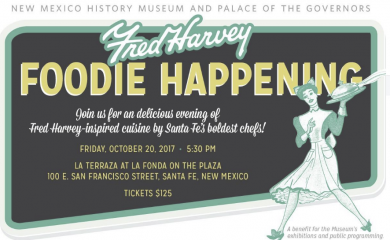 And, speaking of appetites, don't forget the Fred Harvey Foodie Happening. 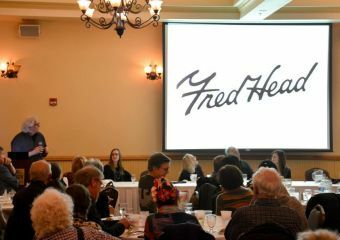 Tickets are now available for the main event of the annual Fred Harvey Weekend in New Mexico - The Fred Harvey Foodie Happening, where top Santa Fe chefs reinterpret classic Fred Harvey dishes. More details and tickets can be purchased here. 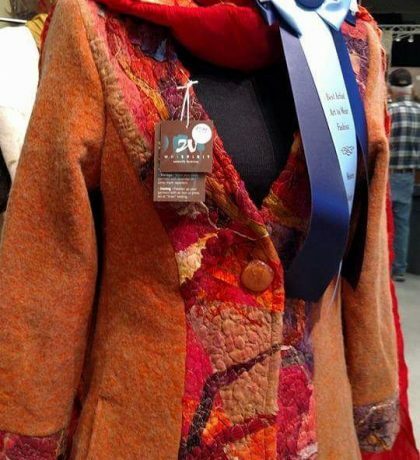 Also included in all things Harvey is a special collection of Harvey era jewelry from the 1930’s-50’s, aprons, oven mitts, and tea towels handmade from original Harvey House fabrics by Christina Herr from Western Gothic. We will also have Mimbreno dinnerware, newly launched serving pieces reproduced from Mary Jane Colter designs by HF Coors, and the special unveiling of the newly reproduced bronze sculpture of Mary Jane Colter’s “Burro”, to accompany those of you who love and already have “Harvey”! 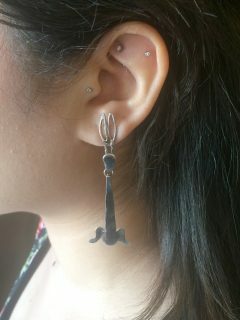 And, don't forget the current Harvey silver earrings now available in two sizes. Come shop with Harvey between 9am and 7pm! 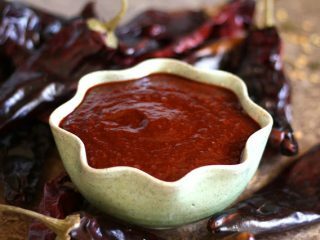 Mary Elizabeth Jane Colter's "Burro"
Red Chile Sauce - Yields 1 gallon – We recommend that you do not reduce the recipe. Any unused portion can be frozen. 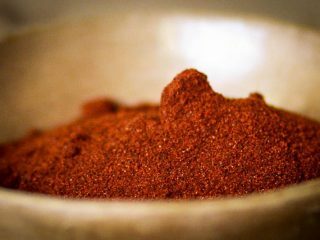 Red Chile is the other "Elixir of Life" for New Mexico Chile Lovers. This condiment is the basis for many delicious chile dishes that you will find in La Plazuela at La Fonda and all over New Mexico. After much coercion, Chef Lane reluctantly gave up La Plazuela's secret recipe for our loyal followers. * To make clarified butter, place butter into a small, heavy bottomed pan. Once the butter is completely melted, you'll notice a foamy white layer has formed on the top. Skim as much of the foam as possible from the surface. Remove the butter from heat and allow to rest for 5 minutes. Heat the clarified butter or oil in a rondeau pan, (a wide shallow pan similar to a Dutch oven, but not as deep), over moderate heat. Add flour all at once, stirring constantly over medium heat until the roux is lightly brown, has no lumps and has a smell of peanut butter. This takes about 15-20 minutes. In a deep pot large enough to accommodate all the stock, bring all the remaining ingredients to a boil, stirring constantly until bubbles form, then reduce heat to a simmer. Slowly add the roux and lightly thicken while simmering on low for about 45 minutes. Let the sauce cool, smooth and thicken. Then, season with salt to your liking. 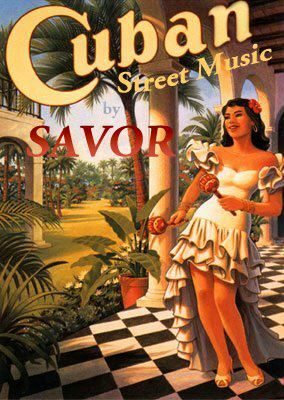 Traditional Cuban music of the type heard on the album Buena Vista Social Club is the specialty of Savor and bandleader Victor Alvarez. 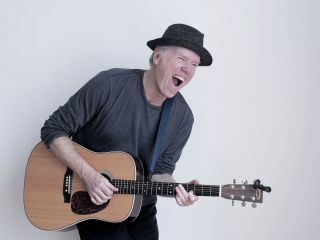 Since 1997, Alvarez has been introducing audiences to the often-overlooked Cuban son, acoustic street music that is infectious and danceable. Of course, this being New Mexico, the band has to throw in what the people demand, which is salsa, meringue, cumbia—anything with a Latin rhythm. “Our fans really like dancing there,” Alvarez says of La Fiesta Lounge, where the band plays at least once a month. 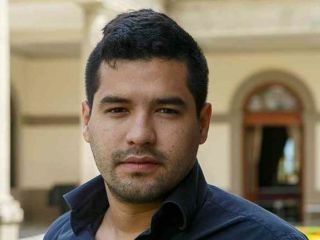 “It’s good for us, because we do a lot of private gigs and we need to stay in touch with our friends, so they can come out and see us.” In his two decades plus of living and playing in Santa Fe, Alvarez has built up a loyal following of fans who know how to do more than tap their toes. 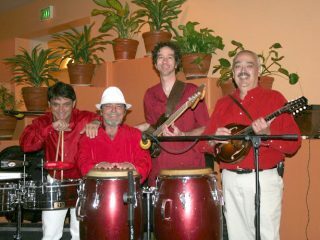 The musicians making up Savor can range up to eight players, depending on the occasion, but they normally include Diego Maestas on percussion, Andy Zadrawsny on bass, “Mariano” on piano, Alex Perez on congas, and Alvarez himself on mandolin, guitar, and laud, as well as lead vocals. 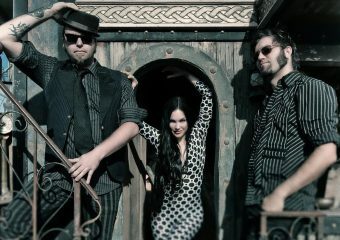 Check out Savor at www.savormusic.com, then come see the band play La Fiesta Lounge Oct. 11-12, Nov. 3-4, and Dec. 1-2. Enjoy another high season in Santa Fe as hundreds of thousands of visitors to the Albuquerque International Balloon Fiesta (Oct. 7-15) inspire a revved-up calendar of activities in both towns. It’s the finest season of the year for New Mexico’s iconic blue skies and red chilies. 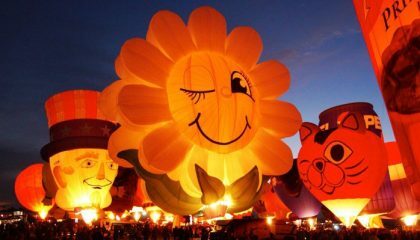 You can head down to Albuquerque for the Balloon Fiesta’s daily Mass Ascension and/or evening Balloon Glows, and then return to the relative calm of the City Different. Ski Santa Fe will have its Super Quad chair running for views of the brilliant aspens turning. 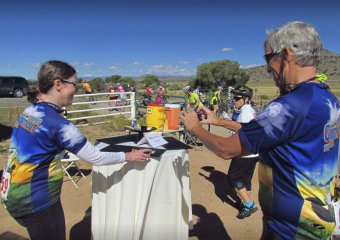 For a more immersive experience, cycle the Santa Fe Gourmet Classic, a 62-mile roll with gourmet food stops (Oct. 7). I love the way you make me smile, just by looking at you. I love the way I feel when you lift me up and make me fabulous. 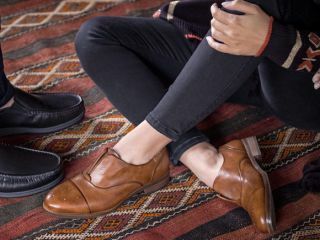 I know which pair of you to slip into when I’ll be walking all day and who to turn to when I’m planning a night out. Like friends, I can never have too many of you. Thank you!" 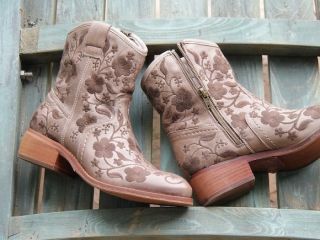 Stop by Street Feet in La Fonda or visit us online and enjoy and adventure in footwear. Tom Taylor is committed to carrying handmade in the U.S.A. belts, buckles, and bags, and to supporting our local New Mexico artists. 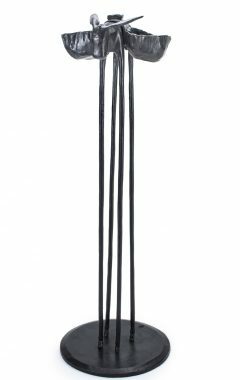 One of Tom Taylor's artists, legendary New Mexico silversmith, David Dear creates his Southwest, Art Deco, inspired silver and gold designs in his studio located in the beautiful northern New Mexico Espanola Valley. David’s works are featured in the Museum of New Mexico, the Wheelwright Museum, and the Smithsonian Institute. 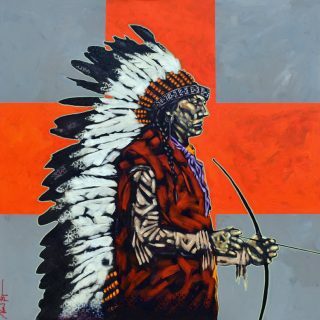 Visit Tom Taylor online, or stop by their La Fonda store, to see more works from David. 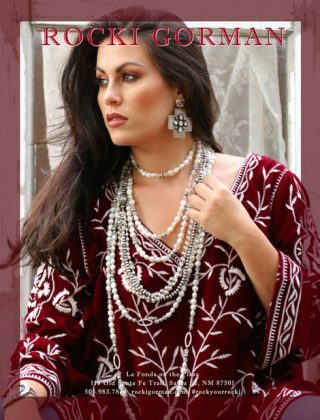 Come visit Rocki Gorman Gallery in October and enjoy our velvet clothing accented beautifully with her newest fresh water pearl ropes. 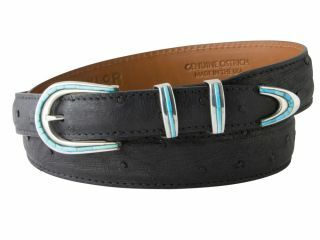 As a thank you, mention La Fonda October newsletter and receive 10% off velvet clothing and fresh water pearl ropes. La Fonda on the Plaza is known as a destination for relaxation, shopping, meetings, and more. Recently, members of Lancair International and others had their expectations exceeded by some of Mother Earth’s finer treasures at two of La Fonda’s retail stores, Mama’s Minerals and Gaea. During Lancair’s silent auction, a deep purple Amethyst cluster from Gaea received an unprecedented amount of bids from attendees. The customers remarked that “they had met some of the nicest and most knowledgeable people” at both stores as well as at La Fonda. Mama’s Minerals and Gaea invite Hotel guests to share this same experience in their stores. Mention the La Fonda Newsletter for 20% off any full-price Amethyst in either store through the end of December. Open seven days a week in La Fonda on the Plaza. Stop in Photogenesis and view the beautiful landscape photography by Nicholas Trofimuk of Galisteo, NM. 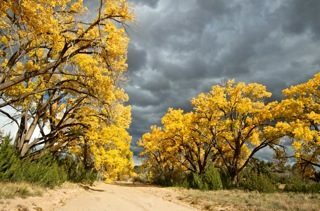 The cottonwoods turn color in October and blanket New Mexico with a golden color only seen here. After the turning of the Cottonwoods, comes the first snow! Photogenesis covers all seasons and many countries. We boast an incredible inventory that includes prominent contemporary photographers as well as the famous French photographers of the World War ii era. Mention La Fonda's newsletter and receive a 10% discount. 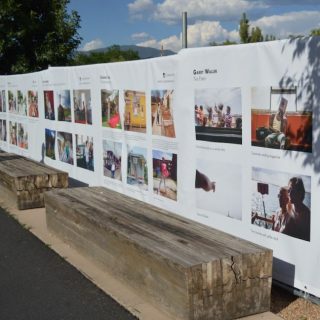 It’s a great time of year for photographers in New Mexico, who will want to check out The Fence, an outdoor exhibit of photo art that shows simultaneously in six cities, in this case at the Railyard Park through Nov. 4. 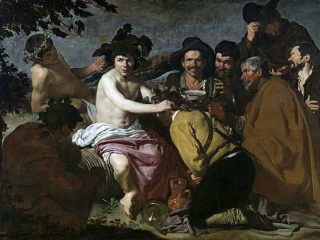 Speaking of which, this month is your last chance to catch the large-as-life masterpieces of The Prado in Santa Fe at Cathedral Park (through Oct. 29), a stroll away from La Fonda. And if you’re a serious photographer, the Review Santa Fe Photo Festival (Oct. 26-29) is billed as the world’s premier juried portfolio review, with workshops, lectures, and networking with dozens of editors, publishers, and gallerists. 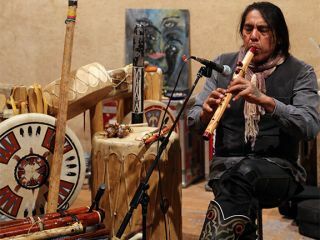 Join a unique Santa Fe celebration on Indigenous Peoples Day (Oct. 9) on the Plaza, with Native entertainment all weekend Artists also head outdoors for the annual Canyon Road “paint out” (Oct. 20-21), with friendly competition and demos all along the streets of Santa Fe. El Rancho de las Golondrinas living-history museum celebrates the season with a Halloween gathering of legendary ghosts, Spirits of New Mexico Past (Oct. 28). And then Santa Fe Comic Con comes to town (Oct. 20-22), with free admission for police, firefighters, and other first responders. On Thanksgiving weekend, celebrate the annual lighting of the holiday tree in the Plaza (Nov. 24) with caroling, hot chocolate, and a visit from Santa. 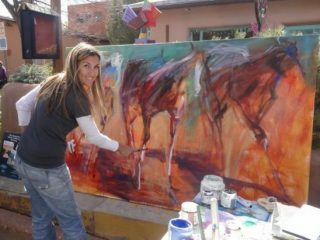 Art studio tours give you a jump on holiday shopping in Abiquiu (Oct. 7-9), Galisteo (Oct. 14-15), and Dixon (Nov. 4-5). Or try the Recycle Santa Fe Art Festival (Nov. 17-19), the nation’s oldest and largest trash-to-treasure art market, with the Trash Fashion & Costume Contest on Friday night. 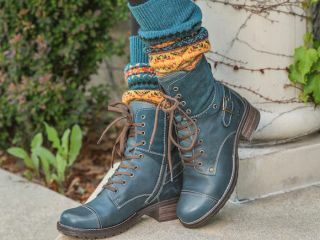 The Espanola Valley Fiber Arts Center holds its Fall Fiber Fiesta at the Scottish Rite Temple (Nov. 16-19), with handmade textiles and materials for sale. Wondering what happened to Winter Indian Market, which used to be held over Thanksgiving weekend? The date has been moved to Dec. 16-17, and once again will be taking place right here inside La Fonda. The good news is that you can still book La Fonda’s Winter Indian Market Special that includes weekend passes for two, breakfast and complimentary parking, and you will be located right on site. 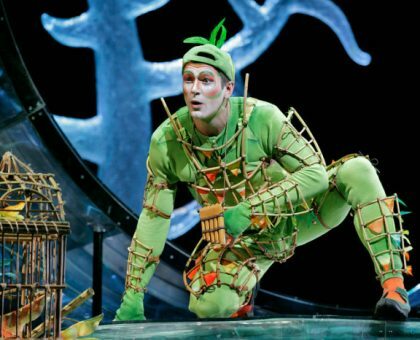 But don't wait long, this weekend sold out last year and is going fast! 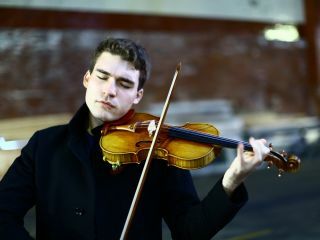 The Santa Fe Symphony features virtuoso violinst Alexi Kenney playing Haydn, Dvorak, Shostakovich, and Berlioz (Oct. 15), followed by a special concert recital with pianist Renana Gutman (Oct. 22). The full symphony orchestra and chorus will perform Handel’s Messiah with guest soloists for two shows that sell out every year (Nov. 18-19). 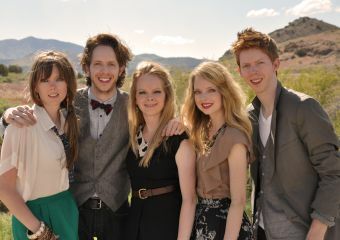 The Santa Fe Pro Musica orchestra will accompany Ann-Marie McDermott playing Beethoven Piano Concertos at the Lensic (Nov. 4-5), where you can also hear the unusual Julliard-trained piano-playing siblings known as The 5 Browns (Oct. 27). 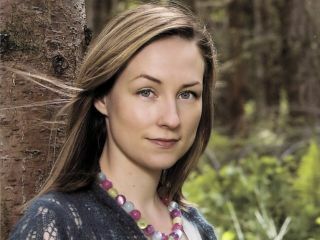 Scottish multi-instrumentalist Julie Fowlis (Oct. 18); The Texas Troubadours—Ruthie Foster, Jimmie Dale Gilmore, and Carrie Rodriguez (Nov. 11); and award-winning jazz singer Cécile McLorin Salvant (Nov. 15). 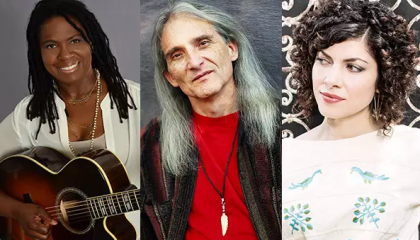 Performance Santa Fe, which is bringing a number of these acts to town, holds its glamorous Stardust Gala benefit on Oct. 7. 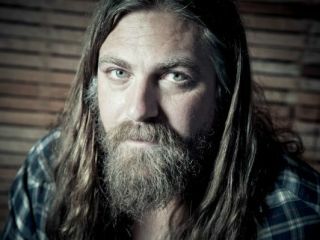 In contemporary music, Martin Hayes & Dennis Cahill play Gig Performance Space (Oct. 3); The Shins play the opera house (Oct. 4); and The White Buffalo plays at The Bridge at Santa Fe Brewing (Nov. 19). Meow Wolf is hosting Widowspeak (Oct. 1), Ty Segall (Oct. 6), Perfume Genius (Oct. 8), Radical Face (Oct. 11), Surf Curse (Oct. 16), MAX (Oct. 18), Alvvays (Oct. 20), Yheti (Oct. 21), JR JR (Oct. 22), Joyce Manor and Wavves (Oct. 23), Halloween shows with Alexander Lewis and Defunk (Oct. 27) and Cats ‘N Dogs & Billy Kenny (Oct. 28), followed by Ted Leo and the Pharmacists (Oct. 30). Playing in November are Ariel Pink (Nov. 13) and Girlpool (Nov. 14), and Desert Hearts Records brings bands for a Thanksgiving party (Nov. 25). 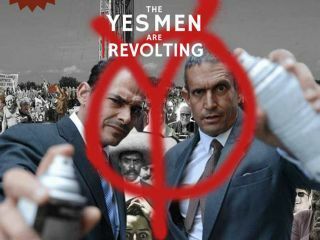 Notorious PR pranksters The Yes Men explore the history of fake news (Oct. 7), which they claim to have invented, at the Lensic. 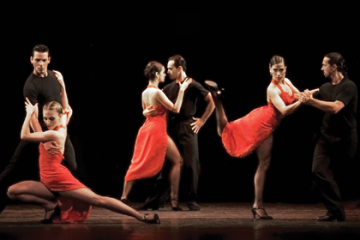 Two dance companies are also coming to town: Osvaldo Requena’s Tango Buenos Aires (Nov. 9) and the renowned L.A. Dance Project (Nov. 14), as well as an innovative, high-flying, acrobatic performance piece from New Mexico–born, Berlin-based The Ricochet Project at SITE Santa Fe (Nov. 3-4). National Theatre Live in HD broadcasts Yerma (Oct. 4), starring Billie Piper in Simon Stone’s radical production, and Met Live in HD brings Bellini’s Norma (Oct. 7), Die Zauberflote/The Magic Flute (Oct. 14), and the American premiere of The Exterminating Angel (Nov. 19) from New York to the Lensic. Meanwhile, the Santa Fe Independent Film Festival (Oct. 18-22) is busy booking films for the state’s largest film fest; check the website for updates. Husband-wife team John Sayles and Maggie Renzi will receive the film festival’s Lifetime Achievement Award and introduce a screening of Lone Star at the Lensic (Oct. 20). 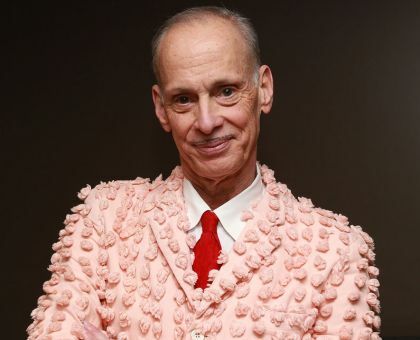 The next evening is a special event with John Waters (Oct. 21), co-presented by Meow Wolf. Come see the classic horror film Alien at the Lensic on Halloween (Oct. 31), just for the fun of it. Decorate sugar skulls and enjoy seasonal refreshments for Dia de los Muertos at the Museum of International Folk Art on a free-admission day (Oct. 29). 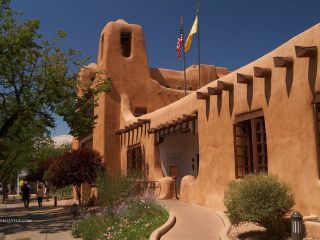 Just around the corner, the Museum of Spanish Colonial Arts will celebrate Dia de las Familias (Oct. 21) with similar traditions, while the Santa Fe Botanical Garden is offering a mask-making workshop (Oct. 21). 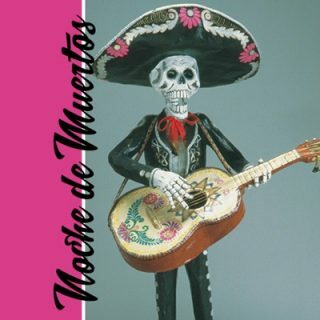 The folk art museum is using the theme Noche de Muertos (Nov. 4) for its benefit evening hosted by Ali McGraw and Luis Tapia. For a more traditional fright, head to El Rancho de las Golondrinas for Spirits of New Mexico Past (Oct. 28), a Halloween celebration featuring historic ghosts. In conjunction with its exhibit of photographs of Frida Kahlo, the Museum of Spanish Colonial Arts will present a talk by guest curator Penelope Hunter-Stiebel on “Frida’s World” (Oct. 12). 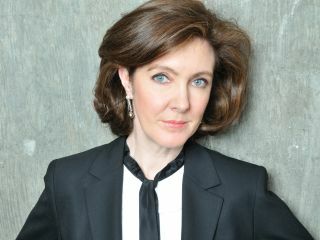 The museum holds its annual gala on Nov. 18. 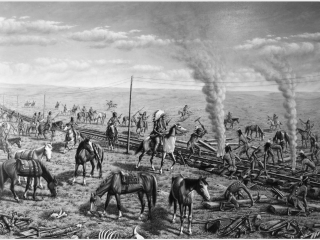 The New Mexico History Museum has ramped up its series of monthly talks, to include the influence of popular prints on 18th-century hide paintings in New Mexico (Oct. 1); former Railroad Bureau chief Fred Friedman on Native American railroad workers (Oct. 4); a screening and Q&A with folklorist Nasario Garcia of the film Nasario Remembers the Rio Puerco (Oct. 5); a talk by painter Paul Pletka about his book Imagined Wests (Oct. 7); Sen. Jeff Bingaman on Mexican prints from the Taller de Gráfica Popular on exhibit from his personal collection (Oct. 8); former “Taos Hippie” Iris Keltz sharing stories from the Taos communes (Oct. 14); “Segesser II and Plains Indian Narrative Painting” (Oct. 22); and Fred Lillibridge on Indian School student and Fred Lillibridge on Indian School student Annie Thomas Lillibridge, his step-grandmother (Nov. 1). Family workshops explore macramé (Oct. 15) and cornhusk dolls (Nov. 19). 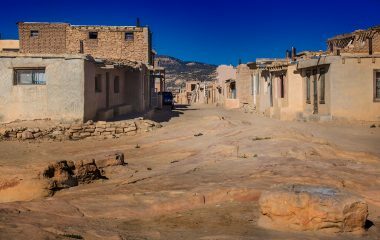 The museum will lead a behind-the-scenes tour of Acoma Pueblo and its Sky City Cultural Complex with architect Barbara Felix (Oct. 3), who led our own hotel renovation. 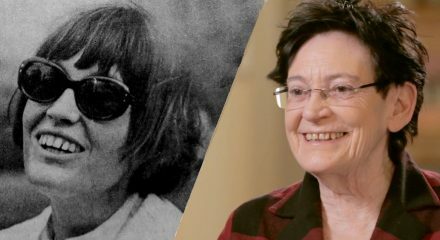 Barbara Felix is sure to figure prominently during Fred Harvey weekend (Oct. 20-22), with events taking place at La Fonda, the history museum and the Plaza Hotel in Las Vegas. 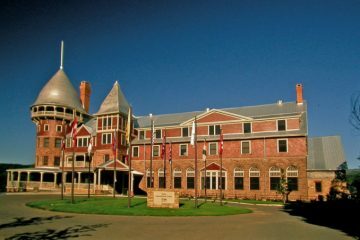 On Friday (1pm-4pm), join Meredith Davidson and Charles Harvey at the New Mexico History Museum followed by a Fred Harvey Food Happening at La Fonda where top Santa Fe chefs will reinterpret classic Fred Harvey dishes. on hand cooking will be, Chef Lane Warner from La Fonda, Louis Moscow from 315 Restaurant, Greg Menke from The Beestro & Root Cellar, and Johnny Vee, among others. Also, a special edition Harvey Girl IPA from Mother Road Brewing is debuting at the event, and every ticket holder will get a unique piece of Mary Colter swag--a specially boxed new reproduction of her amazing Mimbreno gravy boat from HF Coors. Tickets for the dinner may be purchased HERE. Saturday will continue with more talks by Nicolasa Chavez, Jenny Kimball, Jeff Ogg, the last Harvey trader, and Stephen Fried. (11am-4pm). All talks are free and open to the public. No reservation is required, but responding HERE ensures a seat will be marked for you. Sunday’s events will be held in Las Vegas, NM (starting at 10am) and will include tours of the Montezuma Castle by Southwest Detours and the Las Vegas Harvey girls. All proceeds collected will be donated to the UWCUSA and you can register HERE for the tour. Afternoon programming will be announced in October. Check the Facebook page for updated information or the New Mexico History Museum’s calendar. 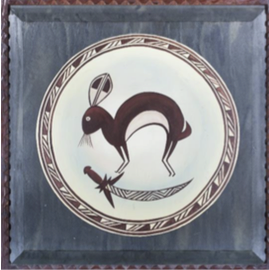 The First Free Sunday program at the Museum of Indian Arts & Culture looks at the work of Tom Lea, a WPA artist who (like our own Ernesto Martinez) painted and documented Pueblo pottery designs—several hundred of them (Oct. 1). 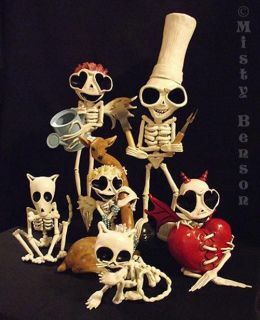 The New Mexico Office of Archaeological Studies will lead a tour of Dinetah archeology (Oct. 6-8) and offers a brown-bag talk on “Dia de los Muertos: Pre-Columbian Past to Present” (Oct. 24) at the Center for New Mexico Archaeology in south Santa Fe. The center invites archaeology buffs to come learn about the organization’s work at an open house (Oct. 21) or annual holiday party (Nov. 5). 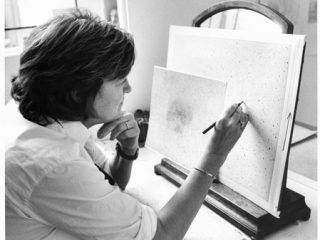 At the Georgia O’Keeffe Museum are talks on artist Vija Celmins in the Southwest (Oct. 17) and exploring letter-writing by artists (Oct. 24), as well as a workshop on recipes in A Painter’s Kitchen: Recipes from the Kitchen of Georgia O’Keeffe (Oct. 27). 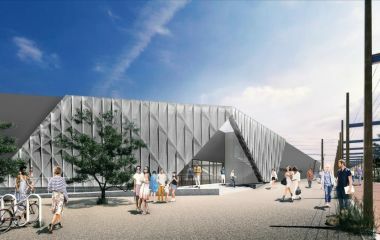 Finally, two art museums will be unveiling renovations: SITE Santa Fe completes a major expansion, to be celebrated at a gala dinner and community events all weekend (Oct. 5-8), including a performance by Native American performance artist Supaman (Oct. 6), media artist Lynn Hershman Leeson in conversation with Sabine Himmelsbach (Oct. 7), and artists Kota Ezawa and Rafael Lozano-Hemmer (Oct. 8). Tickets to the gala can be purchased here. SITE will also host author Geoffrey West on his book Scale: The Universal Laws of Growth, Innovation, Sustainability and the Pace of Life (Oct. 15). And the New Mexico Museum of Art reopens after two months of restoration work in a celebration of its centennial, with free events all day around the museum and Plaza (Nov. 25). The art museum will also screen Painting Santa Fe, a history of the city’s transformation into an art mecca (Nov. 30). Thinkers and activists from around the country gather to explore a growing ecological movement at the Economics of Happiness Conference (Oct. 12-14) at the James A. Little Theater. For the Lannan Foundation’s speaker series, indigenous activist Roxanne Dunbar-Ortiz speaks with author Nick Estes (Oct. 11), followed by Latin American journalists Oscar Martinez and Alfredo Corchado (Nov. 1), and Mexican novelist Valeria Luiselli with journalist Sonia Nazario (Nov. 29), all at the Lensic. 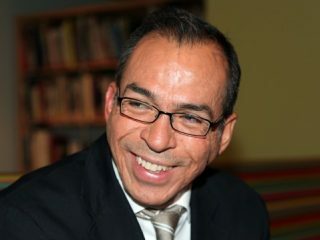 The Lensic itself presents philanthropist, architect, and photojournalist Reza Deghati speaking on “The Power of Photography for Humanity” (Nov. 8).